Do you have the sinking sensation that the spirit of Christmas is waning in your household? When you invite people to decorate gingerbread cookies do people come and yet decorate with less than satisfactory gumption? When decorating the tree does your family want to listen to that Bing Cosby album instead of singing Christmas carols together in harmony? When you told your kids they could use Eggnog instead of milk on their Coco Flakes did they pass up the offer even after they watched you pretending to enjoy a whole bowl? It's up to you to keep the spirit of Christmas alive but you don't have to do it alone. 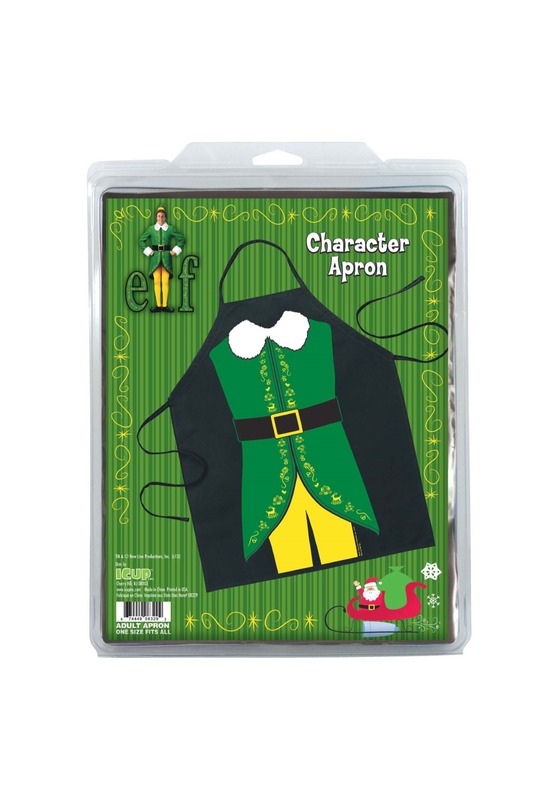 As we all know, Buddy the Elf embodies the spirit of Christmas even more than (dare we say it?) Santa Clause. Hopefully, we don't get on the dreaded naughty list for that comment but even Saint Nick might agree. 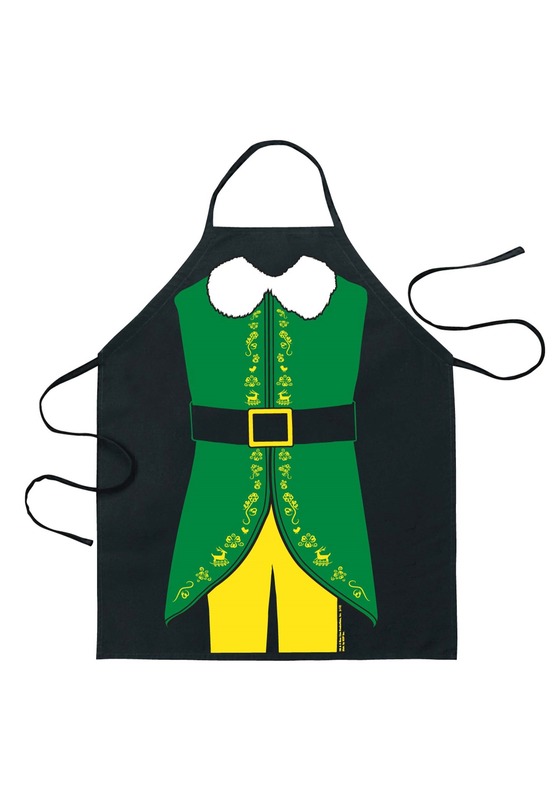 Perhaps if you're wearing Buddy's ensemble on your apron your family will start to understand your Christmas cheer standards. So, this holiday season, tie this apron around your waist before putting the turkey in the oven. It won't be long until your family is gathered around and joining you in a hearty "Fa LaLaLaLaLaLaLa".